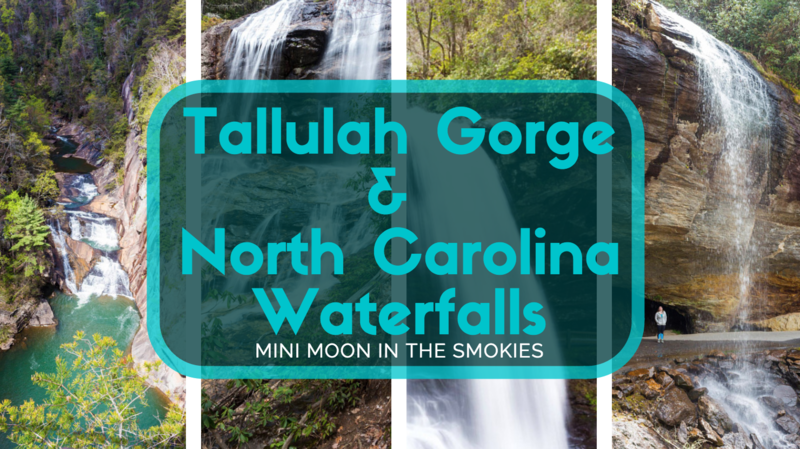 Note: This is part of our Mini Moon series. On our final day of our mini-moon, we ventured a little closer to our “home” for the week. Brighton was feeling under the weather, and didn’t want to do anything too strenuous since we had a day of flying ahead of us the next day. 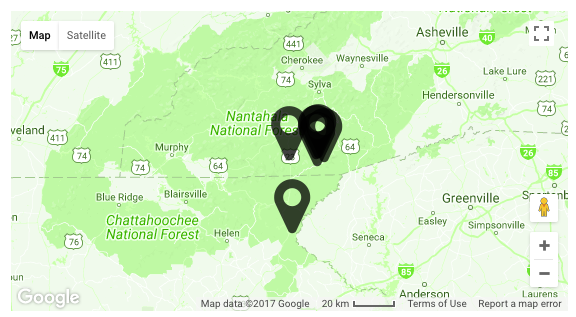 My family’s cabin is about 30 minutes north of the North Carolina/Georgia border, and you’d be surprised the gems you’ll find in Western North Carolina and Northern Georgia. See the map of the triangle we made with these stops below. 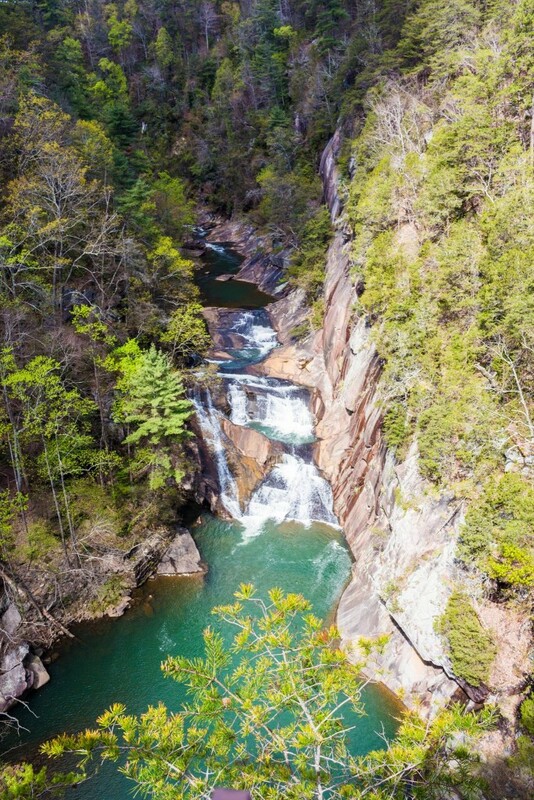 This is a gorge-ous state park just north of the Georgia/North Carolina border, and definitely worth a visit if you’re driving through! 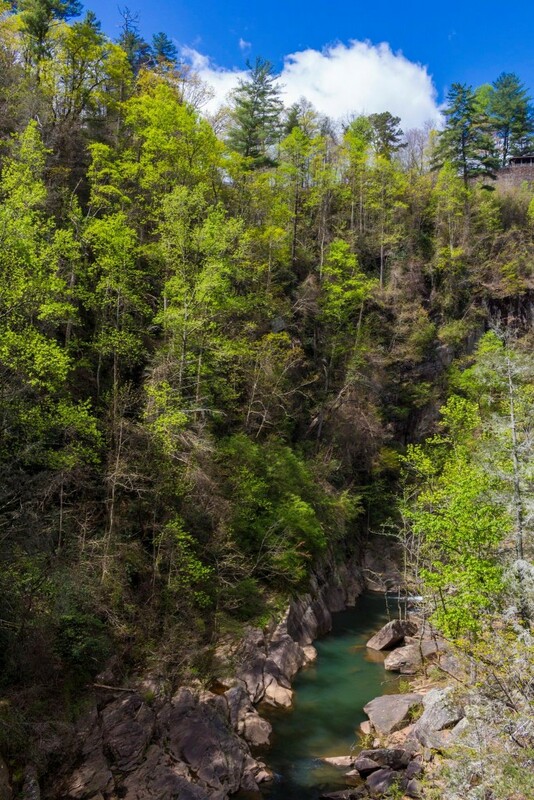 Tallulah Gorge is two miles long and nearly 1,000 feet deep. 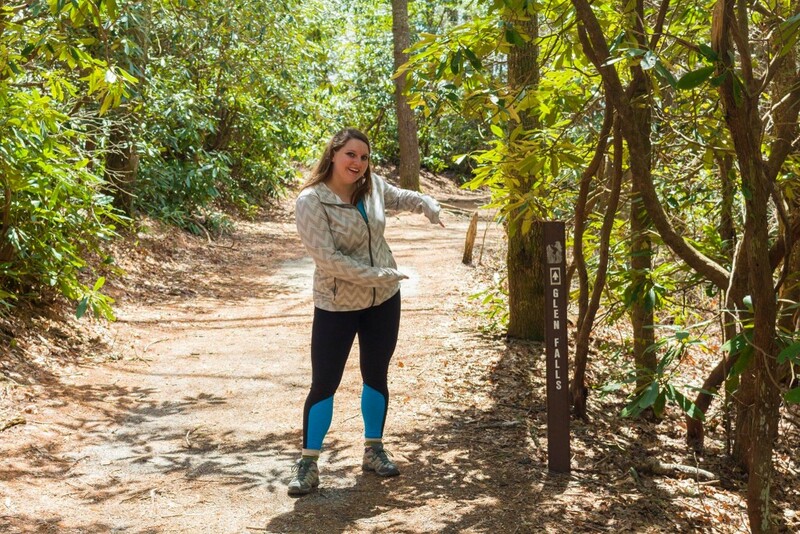 There are about 20 miles of hiking trails through the park, and you can apply for a permit to visit the gorge floor. They allow 100 permits a day for this. 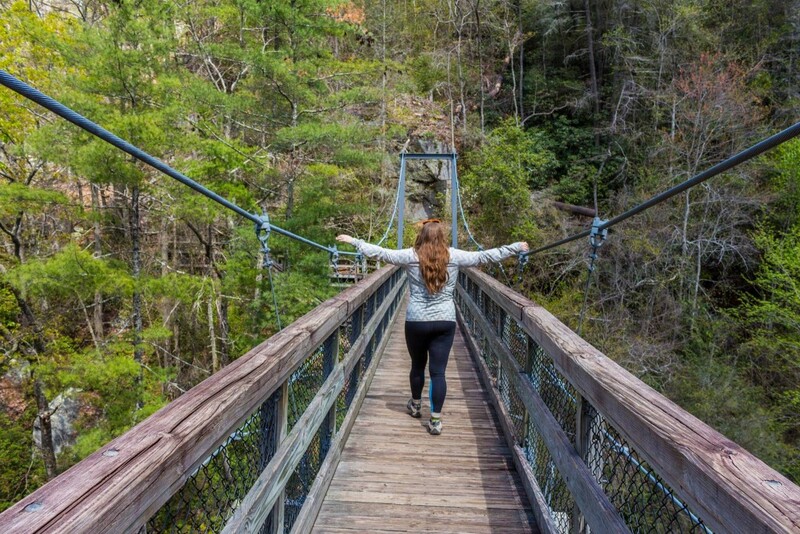 There’s also a suspension bridge crossing the gorge about 80 feet above the water. 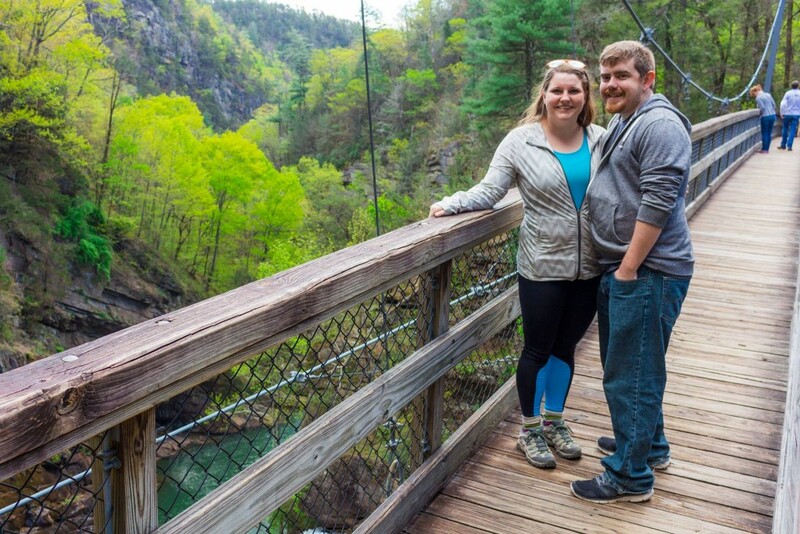 When we visited, we walked along the North Rim Trail which is just past the visitor center. Then we continued down the red path above, Hurricane Falls Trail towards the suspension bridge. 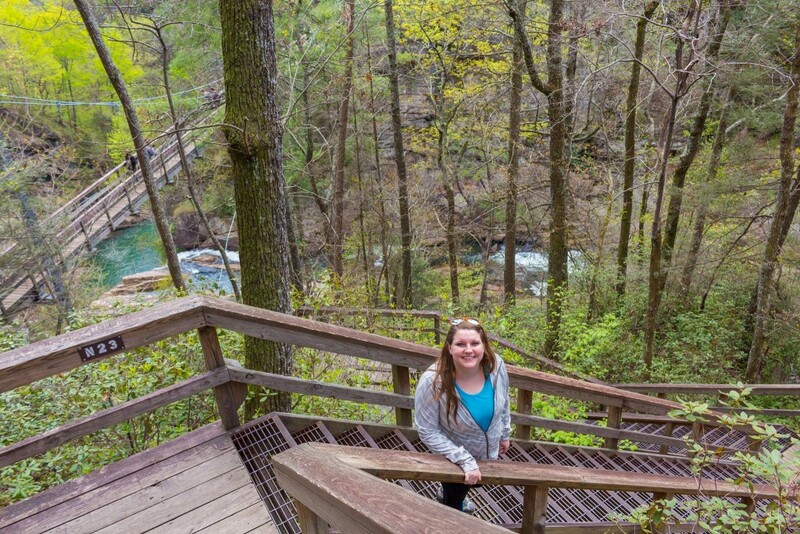 After Viewpoint 2 & 3, you continue down to the 375 steps to the beginning of the bridge. 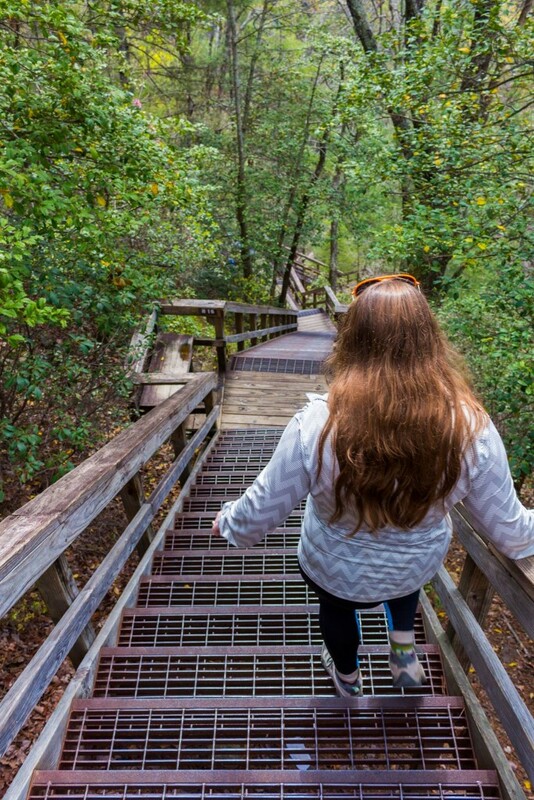 You can see the bridge below– You’re almost there! After the bridge, there are more steps continuing down to the gorge floor. 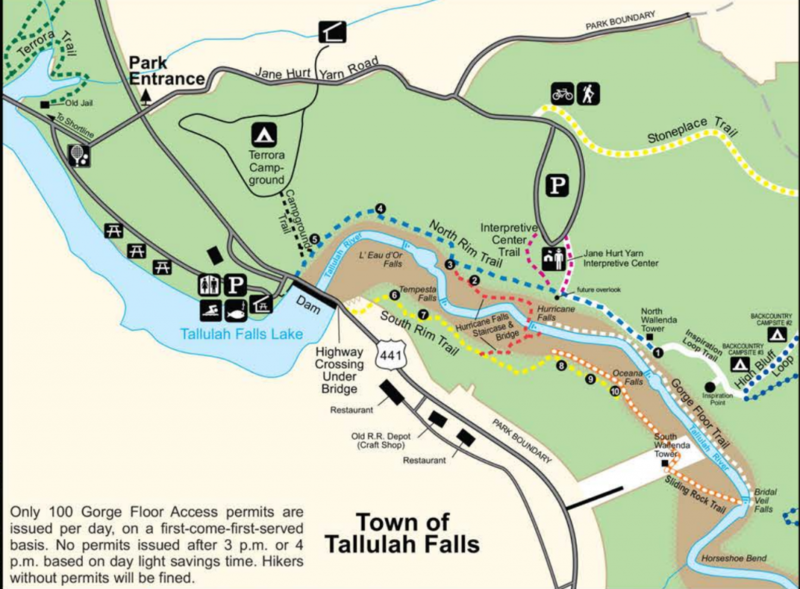 Note the signs of where you can go with/without the gorge floor permit! They will ticket you if you don’t follow their instructions. I got the bridge to myself briefly! 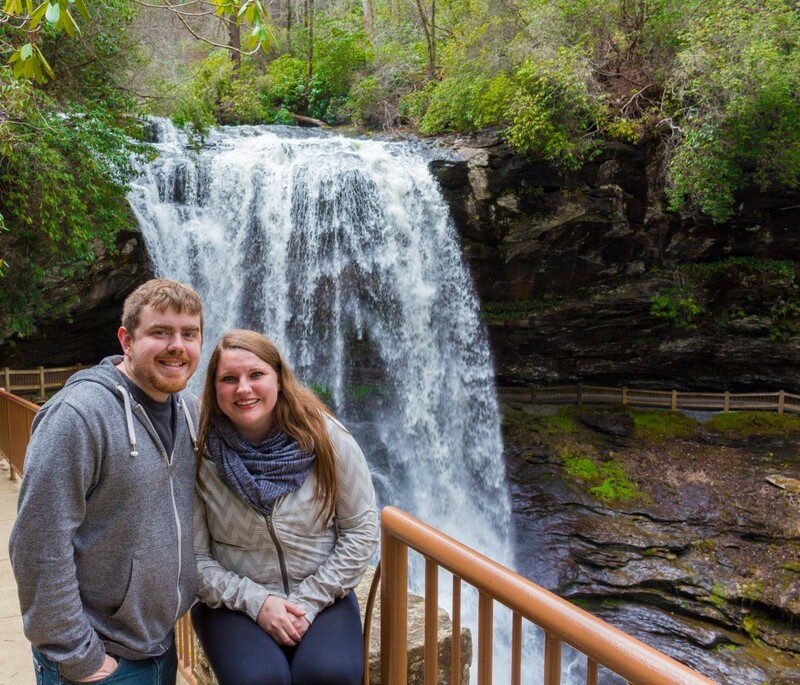 Highlands, North Carolina is a quaint little town located on a plateau within Nantahala National Forest at an elevation of 4,118 feet above sea level. 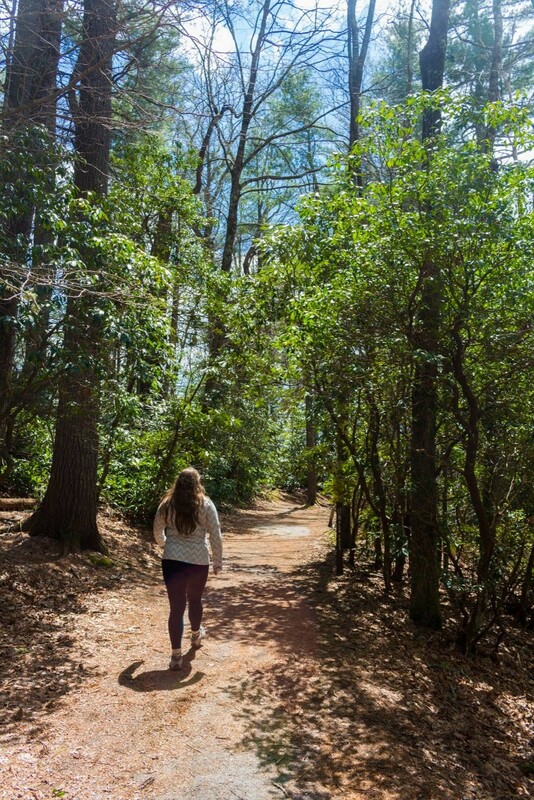 I remember coming here with my family when I was younger on our family trips to NC, and later on with my friends from high school as well. I know this town for its waterfalls scattered throughout the town. This romantic town becomes the summer getaway for many visitors as it offers fine dining restaurants, upscale boutiques, relaxing spas, historic main street, as well as art galleries and antique shops to stroll through. The scenic U.S. Route 64 travels through the city as well. 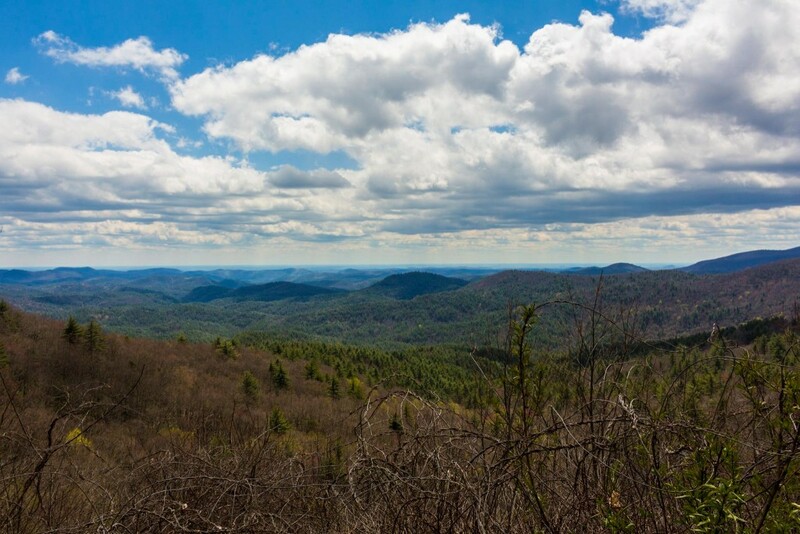 This road snakes through many scenic locations north and south of Highlands, so if you’re up for a drive, you can continue north to find more gems throughout NC. 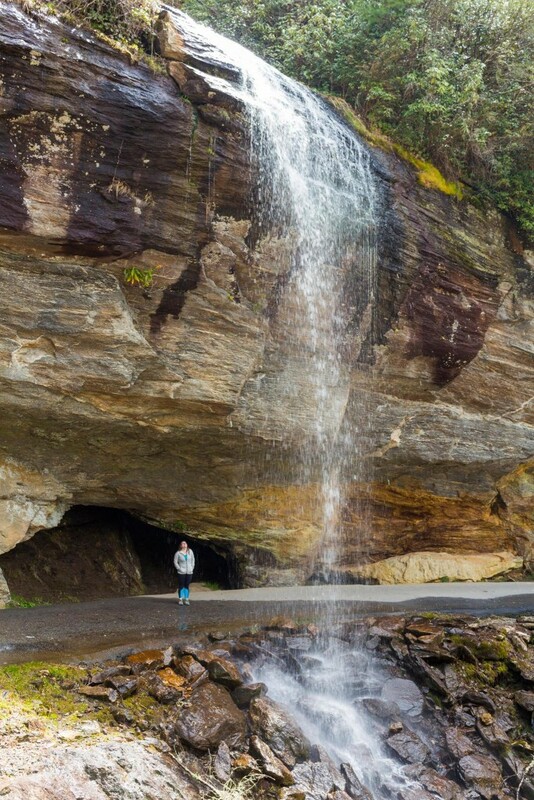 Compared to Bridal Veil falls, the 75-foot tall Dry Falls is very impressive! Just a short walk down a stair path leads you to this high volume waterfall. The path continues underneath the waterfall, so make sure you keep going once you see the falls! 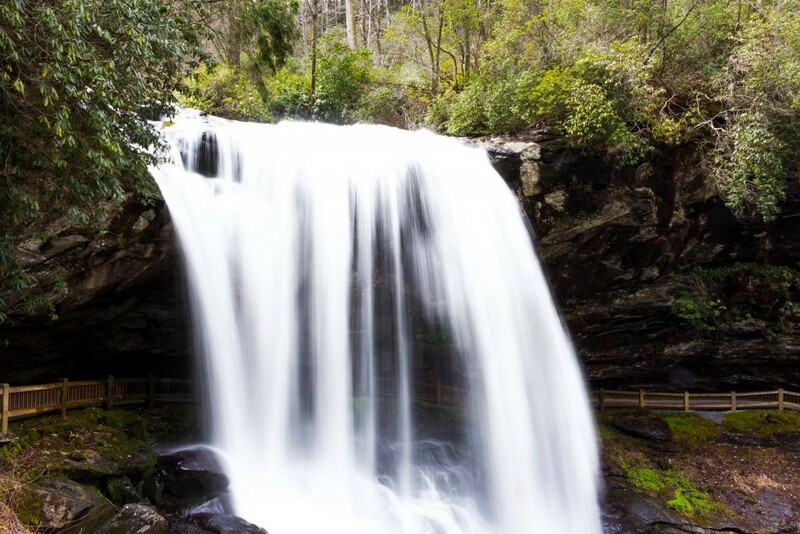 Dry Falls flows into the Cullasaja River through the Nantahala National Forest. It is part of a series of waterfalls on a 8.7-mile stretch of the river that eventually ends with Cullasaja Falls. The last waterfall we “chased” during this outing was Glen Falls. 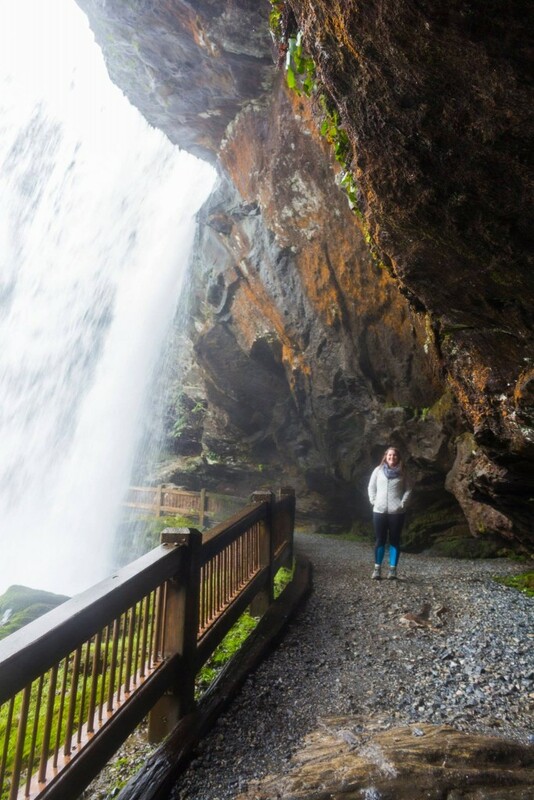 When we arrived at the Glen Falls parking lot, we were a little weary of another hike because Brighton wasn’t feeling well, but a couple visitors who had just finished the hike said it was worth it. So we continued. 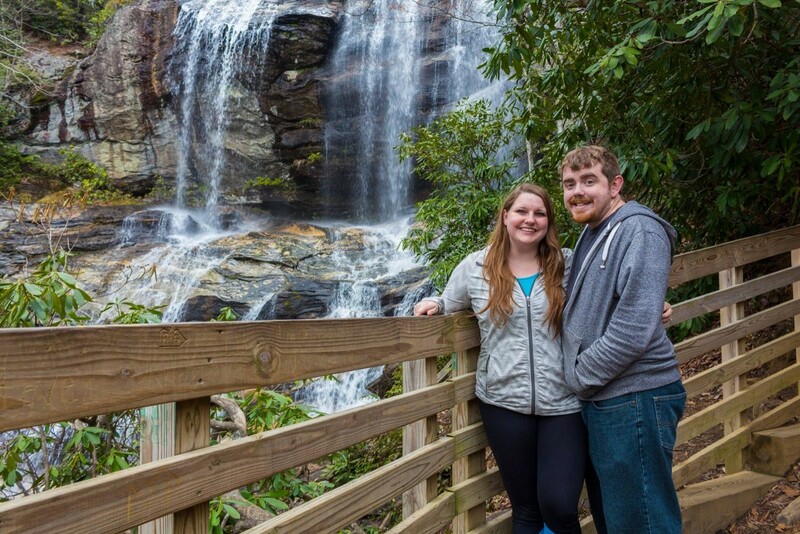 Glen Falls is a 3-part waterfall trail with four overlooks along the 2 mile roundtrip hike in the Nantahala National Forest. 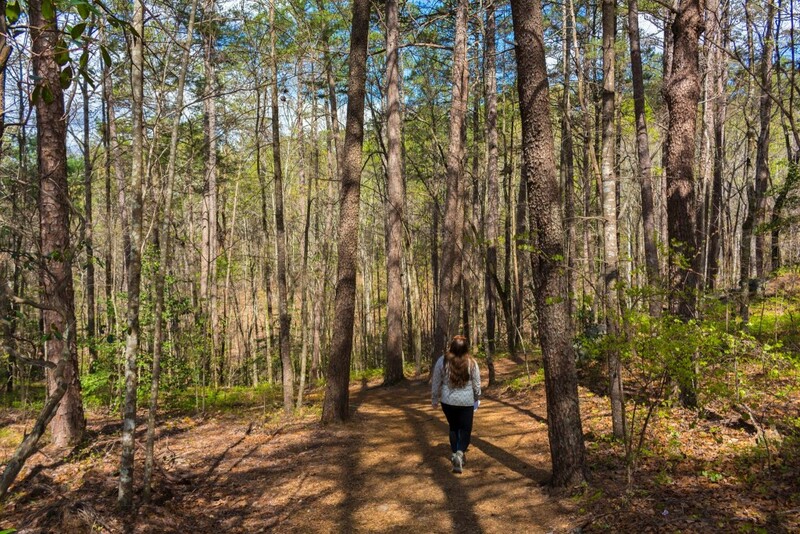 From the parking area, take the wooded trail down towards the falls. After about 1/2 mile from the parking area, there will be an observation deck for the upper section of the waterfall. This portion drops about 70 feet. We continued past this overlook to the middle overlook, about 1/3 mile further along the path. 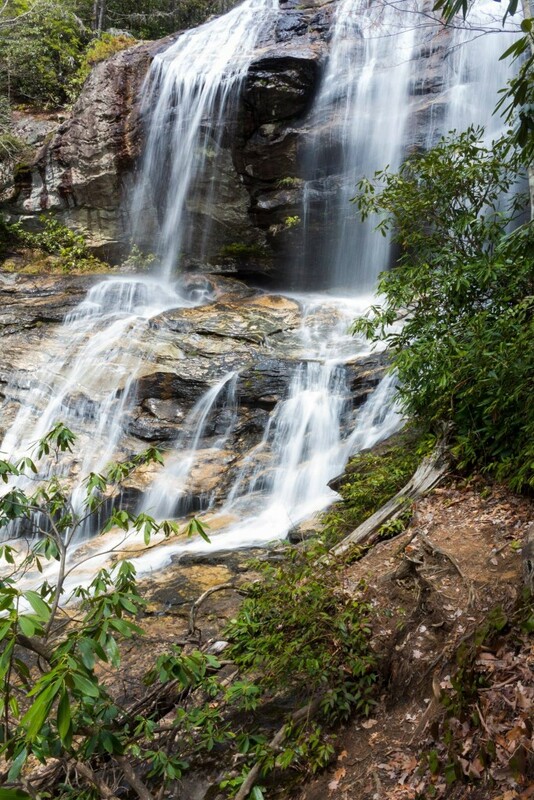 This falls cascades down the rock face. There are guard rails on both of these overlooks. We decided to turn around at this point because according to my research, the last waterfall isn’t as exciting as the first two.